Make windows use more Ram then Harddrive ? I search for tips and help to make windows use more ram and use less hardrive. This settings I use now, do you have any tips or know more settings to make windows use the harddrive less ? * "disable superfetch and prefetch"? - Does prefetech use ram or HDD ? * "Write Caching" - ? Shuld i have it "both checked" if I want use windows to use less harddrive ? I dont think you can achieve it by making these changes. this changes will result on using less hdd but not more ram. microsoft has to do correct changes like linux to use more ram instead of hdd. and i think they plan to do it. so you don't need to do anything. ultraform I disable this lot, pagefile prefetch/readyboot superfetch hibbernation sleep search/indexing(because windows own search is bloody awful). You have got somethings i may not have, will need some info on then so i gotta go digging. 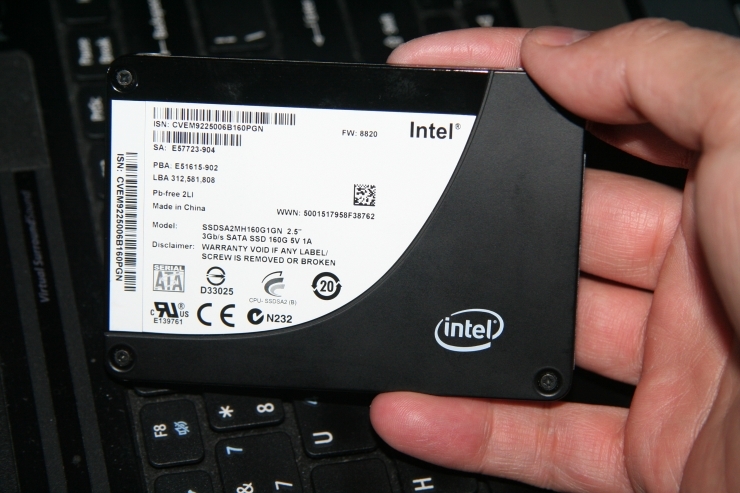 It may help to disable Trim, an ssd has its own built in garbage collection routines anyway. I have read itr may be better to format rather than trim but if its on your c: drive you cant format without wiping the os, ssd garbage collection may be better. how-to-stop-ie-webcache is another one. I have a batch file for it but i think its for 10 and may be different for 8.1. just deleteting the task may be enouygh. need to fiddle with this one. Firefox used to write a lot(and i mean a lot) of data to a hdd, dont know if later versions do but i have a tweak buried away somewhere that sorts it. ultraform This is what i have got up to now. All known working on 8.1 Pro Update 3. Run them all from Power Runs UI. schtasks /Delete /F /TN "Microsoft\Windows\Defrag\ScheduledDefrag"
schtasks /Delete /F /TN "Microsoft\Windows\RAC\RacTask"
schtasks /Delete /F /TN "Microsoft\Windows\Sysmain\HybridDriveCachePrepopulate"
schtasks /Delete /F /TN "Microsoft\Windows\Sysmain\HybridDriveCacheRebalance"
schtasks /Delete /F /TN "Microsoft\Windows\Sysmain\WsSwapAssessmentTask"
schtasks /Delete /F /TN "Microsoft\Windows\SystemRestore\SR"
I did try to disable hibbernation with the reg tweak once but it didnt apply during setup. Nuhi uses the command and that always works. Moved Wininet task and WebCache folder. Im gonna look into the following. Timestamp Off, link, looks like its integral to the ntfs file system. If it only tracks changes to files and folders when they are made i cant see it being a big issue, will leave this one to more knowledgable users. Will leave alone for now. nuhi We had this in nLite i think, what do you say? Disabling any sort of data and diagnostic collection should help. abbodi86 may have that in his w10 block file, see what he says. You can use a RAM drive, change paths to there and when Windows shuts down save all the contents to an image, it can load the image on start. Probably ImDisk is the way to go if you have lots of RAM. I can only go so far with reggies so rather than do reggies and bats i would rather have bats after 1st logon to do it all. I dont use defender or restore so i disable them and their tasks and remove defender from the control panel, effectively hiding it from the user. I gonna look and see if there are entries in the start menu, if so i will remoive them and update the post. I use everyone that you make a zip file off =) does the files remove files too :O ? Ahh nice one, glad you like em I dont remove their files because thats too close to liting and out of respect for nuhi i wouldnt post here even if i went that far, just the scheduled tasks. Disable them first then lite'em out later. In the picture is the settings I use, and its only few I dont have in reg files I try gonna find fix the others =) , so I allso can use them whenmake new iso in NTlite. How do you disable sleep study? LTSB These work on 7 and 8.1 with the default Balanced power scheme active. ultraform If there are any other tweaks you need lemmy know. I would prefer System/Performance tweaks rather than UI ones. I search for all Tweaks or settings so windows dont Write/use harddrive automatic in the bakground and so on. If I wanna use this files in NTLite when make iso where to put them :O ? I think i have got all the space hoggers sorted with that lot above(inc defender), i doubt there is much left that we can do anything about. What we need todo is find out how much logs n stuff windows writes in a set period, so i can create a standard install then compare it with ccleaner with a tweaked install, everything in my arsenal so far. If ido liting, vm's and my audio and videeo work i could easily be looking at upto 40+ gb's a day to a drive, wayy more than windows 8.1 prolly ever will but thats my stuff and i can accept that. Got a lot of my own stuff needs doing so gimme a few weeks see what i can find, doubt it will be much though. I would say put them on the Post Install page but some of them will need elevated permissions and my personal preference is to manually run them post setup after 1st logon with the Administrator account on a clean untouched iso install., thats what i normally do. I dont know if they would apply correctly if i added them to ntlites Post Setup page. Perhaps nuhi could give an opinion. Ive glanced at the ssd guide, i think i already got most of the windows tweaks. Check the pro audio/daw sites for windows tweaks, they are a good source. I wouls suggest that if you want to use an ssd then get a samsung pro, they are more expensive but have longer durability compared to the evo series. Ive got more ram upgrades coming this week so i should be able to speed things up a bit. Looking at Crucial ssd's, doubling the capacity doubles(or nearly doubles) the endurance but not always double the price, only the 1TB is double. For £17 extra over the 250gb you are getting better endurance. can someone explain to me how exactly windows will use more ram when someone does these changes? they simply disable and close the services that uses harddisk to operate because some of them are about using indexing and has to use harddisk. so you disable them? and ram usage remains the same? plus you lose some features. A standard install with no programs and no scheduled tasks running doesnt use that much more ram than an install with 151 services disabled, prolly 100mb difference. If youve only got 4gb ram or less and dont want to/cant spend extra then every little helps and i always ran with 4gb and no pagefile prefetch etc. Now im upgrading everything to 8gb then bareboned services isnt going to be needed although i will still doit. Most of those tweaks were for speed when we used hdd's with aroung 8.5ns seek times, the head takes time to get from A to Z. Solid state storage has a seek time of around 2ns so we are less likely to notice the speed gains and more so on nvme drives than sata ssd's. Now its about helping to maximise drive life and do we really need those space hoggers? I dont so I disable the above because i dont need them, you dont disable what you need. anyways i wouldn't use this because it will end up with "some settings are managed by your organization error in 2 places"